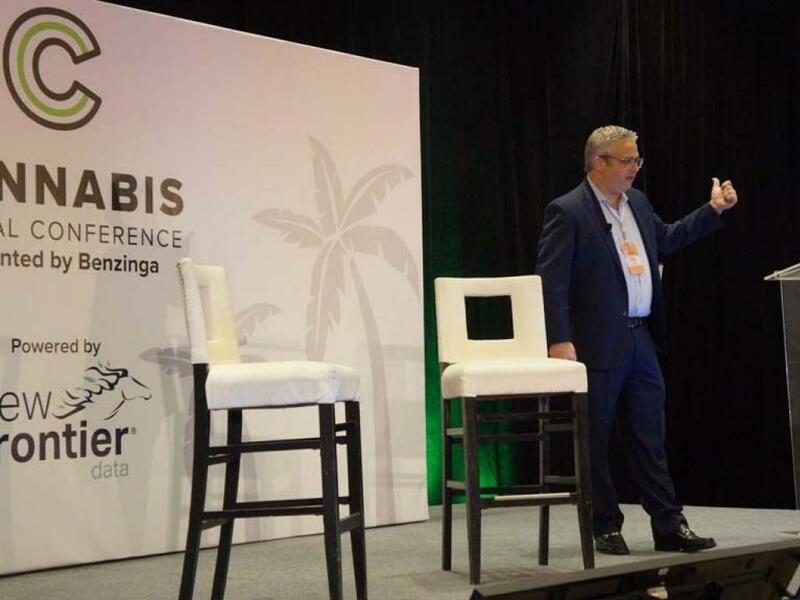 Benzinga is all geared up to host its third rendition of the Cannabis Capital Conference, full of big-time investors, top industry executives and reporters from around the world. If you haven’t already secured your tickets for the event, there’s still time to get them here. Benzinga is returning to the heart of the Canadian cannabis market in Toronto, Canada. The conference will be hosted at the Fairmont Royal York, the luxury hotel in the core of the city. The event kicks off April 17 at 11:30 a.m. ET, with networking and lunch. The remainder of the day will consist of education, spotlights and curated content with targeted relevance to cannabis news on a global scale. Day one will conclude with an exclusive networking reception starting at 6:00 p.m., hosted by Cormark Securities. Day two will begin April 18 at 8:30 a.m. with networking and breakfast, followed by opening remarks from Benzinga CEO and Founder, Jason Raznick. The remainder of the morning will showcase thought leadership from some of the most prominent players in the space. Attendees will then have access to an entire day of company presentations from Avicanna, iAnthus Capital Holdings, Inc. (CNSX: IAN)(OTC: ITHUF), Valens GroWorks (CNSX: VGW)(OTC: VGWCF), MedMen Enterprises (CNSX: MMEN)(OTC: MMNFF) and many more. The second day will conclude with scheduled one-on-one meetings, representing over $50 billion in capital. 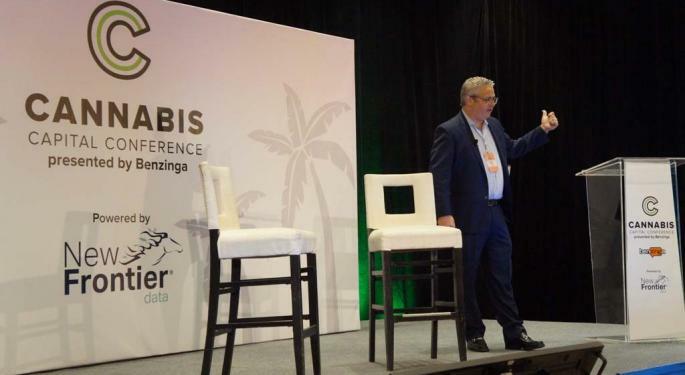 Keynote speakers include both Kush Supply Co. (OTCQB: KSHB) Chief Revenue Officer Jason Vegotsky and Organigram Holdings Inc. (OTC: OGRMF) CEO Greg Engel. Scattered intimate fireside chats will cover topics surrounding the developments of multi-state operators, cannabis industry software, pharmaceuticals and expansive branding. Richard Carleton of the Canadian Securities Exchange, Alfred Avanessy of Cormark, Brent Johnson of Hoban Law and Drake Sutton-Shearer of PROHBTD will cover ways in which the industry has pivoted from Canada to the U.S. and beyond, including penetration into Latin America. Alan Brochstein, founder of New Cannabis Ventures and 420 Investor, is an honorary chair of Benzinga's Cannabis Capital Conference and will be moderating a panel on the evolving Canadian market. To discuss opportunities in Latin America, Bert Miller of Protis Global, Kyle Detwiler of Northern Swan, Chuck Smith of Dixie Brands (CNSX: DIXI.U)(OTC: DXBRF) and Maruf Raza of MNP will share their deep knowledge and experience in the foreign space, while providing insight for cannabis companies looking to expand. Amid a time of market volatility and unpredictability, Benzinga has again wrangled the top players in the cannabis world for the investing panel in Toronto. CNBC’s Tim Seymour will moderate a conversation among executives like Tahira Rehmatullah of Hypur Ventures, Jon Trauben of Altitude Investment Management, Narbe Alexandrian of Canopy Rivers Inc.(OTC: CNPOF) and Matt Hawkins of Cresco Capital. 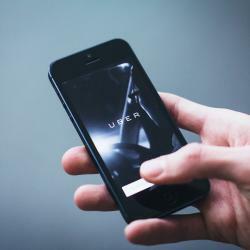 On the U.S. side of cannabis, four of the most successful cannabis executives — Julius Kalcevich of iAnthus Capital, Kim Rivers of Trulieve Cannabis Corp. (OTC: TCNNF), Vahan Ajamian of MedMen Enterprises and Mitch Kahn of Grassroots Cannabis — will join CNBC’s Jon Najarian to discuss challenges and perks of operating as a multistate operator. In an industry like cannabis, building a unique brand is imperative. Celebrities like former NFL athletes Calvin Jonson, Rob Sims and “King of Instagram” Dan Bilzerian will discuss branding, their entrance into the industry and success so far.